The Embedded Serial Server AN-IP-RS232-485/H is a gateway between Ethernet (TCP/IP) and serial device. 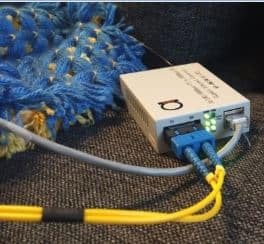 It can be built into any facilities or equipments, and converts any serial port to Ethernet network.By using this unit, limited distance, point-to-point, direct serial connections can now be extended to the facility or equipment.In the industrial and manufacturing automation, AN-IP-RS232-485/H can be embedded into most field devices, include PLC, HMI, Bar-code Scanners and so on. The Embedded Serial Server AN-IP-RS232-485/H is a gateway between Ethernet (TCP/IP) and serial device. 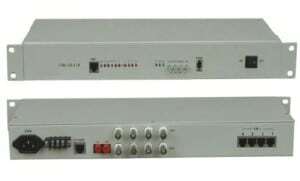 It can be built into any facilities or equipments, and converts any serial port to Ethernet network.By using this unit, limited distance, point-to-point, direct serial connections can now be extended to the facility or equipment.In the industrial and manufacturing automation, AN-IP-RS232-485/H can be embedded into most field devices, include PLC, HMI, Bar-code Scanners and so on.Flexible configuration options allow the unit to be setup remotely over Ethernet by Telnet, web browser, or other windows utilities. It is not only a transparent, cost effective, network-enabled serial device, but also it is easy to install.